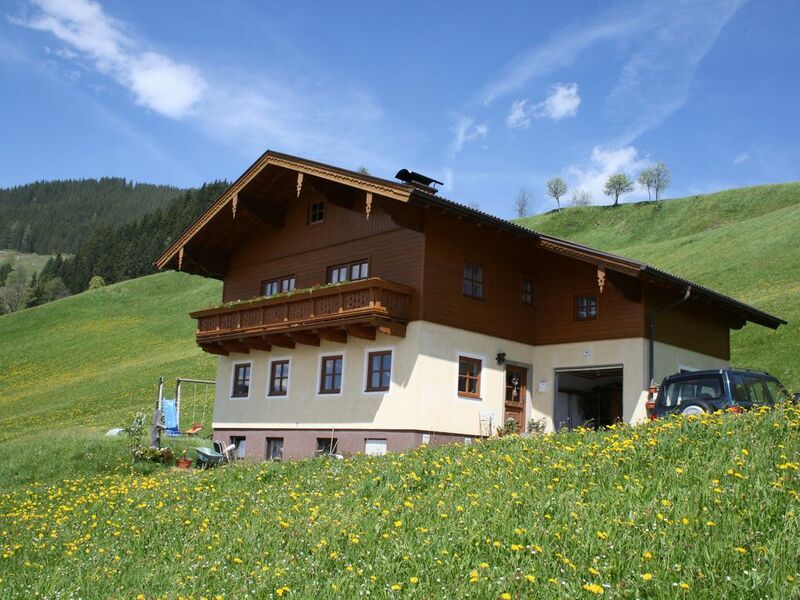 House Obermoser is a detached house which is located on a wonderful and peaceful location, blessed with breathtaking views of the surrounding mountains. The holiday home covers the 1st floor and has a well kept interior. The advantage of this house is that each bedroom has its own bathroom. Privacy guaranteed! Two of the three bedrooms have access to the spacious, south-facing, balcony from which you can enjoy a truly splendid view of Wagrain. The fully equipped kitchen-diner was renovated in 2007. The farmhouse which is at 200 metres from the house is a great area for children. Walking routes start in front of the house. The house is surrounded by a communal garden with garden furniture. We have one week holiday enjoyed by Haus Obermoser 31 5 - 7-6-2014.We have really enjoyed the beautiful view of the village Wagrain.Werkelijk magnificent Also in the area is much to see, too bad there are still so little cable cars open waren.Wagrain is also a convenient location for many uitstapjes.Het house is also good, just the small living room, but for tranquility, there is no better place. Very nice owner. Hassle pobyt.Trochę high and steep entry. But the beautiful views. It was a moment swallowing to ride for the first time, the mountain road but once enjoying top of our holiday and the magnificent view that we were quickly forgotten. The hostess was very welcoming and super friendly. House is nice and neat, room all fine. We have had a very nice two weeks!